It might feel uneasy to hear and read about new idol music from this quarter with Yamaguchi’s case in mind. The year already has brought a spoil of great singles from all levels of the scene. The list covers more than enough variety in style, from rap to metal to electro and beyond. But her situation shouldn’t be ignored for keeping the spirit of feel-good entertainment. The audience is held accountable in their media consumption; at the very least, idol media should not be consumed so passively. A Spotify playlist containing tracks from this list can be found at the end of the article. On last year’s World’s End, Lyrical School charmed listeners with rap songs about summertime crushes. They followed that record’s cheesiness with a single that used mechanical pencils as a metaphor for living by one’s own rules, and a B-side about pajama parties. With “Tokyo Burning,” the rapping idols take a sharp turn away from all the silliness. The girls are accompanied by a lonely synth hum , and it creates a sharp contrast to the sunny songs they’ve released before. What remains is their sincerity: they yearn to reunite with the one they adore. “Tokyo burning: flying, flying high with you,” they sing, as the illuminating beat fizzes like a quiet firework. Both the kitchen-sink pop and lyrics of “Shadaikun” are the unmistakable work of Sakurai Kenta, the producer who also handles the organized noise of Maison Book Girl. Qumali Depart talk around the emotions they wish to relay via lyrics that describe the vivid scenery, choosing not to explain the direct actions taken to ask out the one they adore. While they’ve got another winner in “Shadaikun” by utilizing this reliable formula, the group produces even better results taking other paths, as shown on B-side “Sekaikei.” The song’s straightforward guitar riffs, commissioned from an outside musician, mark a stylistic departure from the cluttered synths of their usual work. Sakurai Kenta also writes a more direct chorus to complement the shift in sound: “I won’t forget your words” they sing, clutching tightly to a precious memory. Shiritsu Ebisu Chuugaku dropped their fifth studio album MUSiC in March, and it’s the group’s most stylistically adventurous record yet. 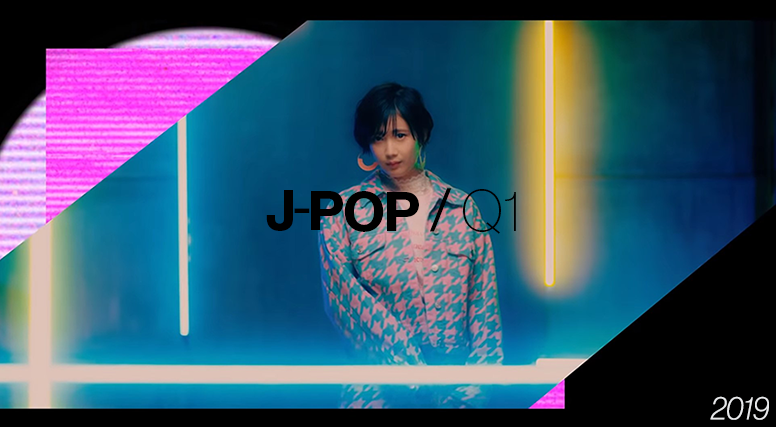 The digital pop of “Ashitamo Kitto 70ten,” featuring VTuber Megu Shinnome, stakes out a new corner in Ebi Chu’s catalog with synth production inspired more by Yasutaka Nakata’s progeny than typical idol-pop. Meanwhile, frequent collaborator Kayoko Yoshizawa switches up her storybook pop into a rougher ’90s alt-rock sound for “Donten,” Ebi Chu sounding exhausted over the equally worn-out music as the group ruminates about a broken relationship. Record label Codomomental lost Futamaruya Shidare from Yukueshirezu Tsurezure during February, but it gained a whole new group in its roster with Seireki 13ya. Compared to their heavy metal siblings, Seireki 13ya bring a much softer sound, though the Eurobeats-meets-shamisen production of debut single “Oyasumi Mirai To Koiotome” hits no less aggressive than the others. For more guitars in your system, Zenbu Kimi No Seida delivers as expected with “Romance Sect.” The song’s thrashing metalcore breakdown doubles as a summation of the group’s “sick yet cute” concept: their scream of “struggling cry mind” might as well be their tag line as they turn their fragile state of mind into a form of invincibility. Like clockwork, Kenta Matsukuma continues to crank out emotionally intense string-laden pop for WACK groups. But that very formula remains most effective when it draws on the chemistry and drama happening amongst members. Gang Parade’s “Last” fine-tunes last year’s “Gang2” while mining even more out of the group’s struggle to get to the top: “Even if that’s the long way around, we won’t lose a thing,” they sing in the chorus. EMPiRE’s “Pierce,” meanwhile, has extra weight as it doubles as a farewell song to exiting member Yuka EMPiRE. After tackling cowpunk and Eurobeat on last year’s Not Idol, Billie Idle turn down the lights in the sentimental “Soshite, Mata…”. The mellowed sound inspires some words of ambivalence about how exactly life is going, a rather new mood from an idol group who gloriously tackled tomorrow in last year’s “P.S.R.I.P.” Some earnest reflection doesn’t hurt, though, and it’s perhaps expected after a lineup change: “new” member Pour Lui wrote the lyrics for this one, suggesting that the group’s future may yet be unclear in this new formation. While last year’s Maenarawanai provided a fantastic introduction to the jazz-pop of Atarashii Gakkou No Leaders, follow-up Wakagegaitaru expanded the borders of the group’s established aesthetic by incorporating more modern styles. That said, their trusted jazz-pop is still too good to abandon entirely. The Leaders’s go-to producer H ZETT M hammers a furious piano riff in “Koi Geba,” and member Suzuka brings the song’s poetic lust and frustration to life through an impassioned vocal performance. The shiny guitar sputters on “Lightpool” and “New Stranger” led to some of the best idol-pop last year, but Sora Tob Sakana chase new paths in their newest album World Fragment Tour. Lead single “Knock! Knock!” follows a linear musical trajectory inspired more by EDM than the jagged math-rock of before, with an ascending starry synth beat dropping into a serpentine guitar riff during the chorus. The group’s once-restless music may be more contained, but it doesn’t lose the sense of wonder that thrilled in past releases. Monster Girlfriend got it right picking “GAM” as the lead single for their Girl Ver. 01 EP. The debut collection serves some fine electro-pop production, but “GAM” has the greatest sense of what it wants to be as a song through its clear lyrical narrative. Their passion for the one they adore blurs into obsession, and the dance-pop beat refuses to let their determined chase lose intensity. Members of CYNHN took on energetic pop-rock and sentimental soft pop for each of their solo singles shared since August. The sixth and last release “Wire” finishes the rollout with a bang, armed with an edgy metal riff and a call-and-response chant fit for arena-rock. The climactic music also provides a fine conclusion for the final episode of CYNHN’s drama series, strung together through each of the singles’ music videos. Gunjo No Sekai seemed to be following the trajectory of a more traditional idol group by releasing the earnest pop song “Unknown Planet” as their debut single this past December. Just a month later, the group took an abrupt stylistic turn with the follow-up track “Non-Stop.” The wide-eyed perspective that characterized “Unknown Planet” sounds more at home in this synth-speckled production, and their hooks land more dynamically when they’re backed by a speedy beat built by a cluster of busy electronic sounds. Koutei Camera Girl Drei’s new full-length, Dawn by Flow, is best understood as a house album with raps. The group’s vocal experiments, as teased in lead single “Josephine,” didn’t quite work on the whole, but the more straightforward dance tunes like “Speed Test” and “Movin’” impressed like no other. On “Changes,” KouteCa Drei put rapping at the forefront, with little to distract from it. This may be a one-off, but the introspective verses and the twisting cadences are too good for “Changes” to be considered a throwaway. Keyakizaka46 retreated deeper into self-isolation on “Kuroi Hitsuji” (“Black Sheep”). While they double down on that titular metaphor with overcast music, the combination made the lyrics ring a touch too self-serious. The B-side “Nobody” covers similar topics, but its self-loathing is easier to swallow. The playful brass production loosens up the song’s underlining bitterness, and it adds a theatrical flair to the melodramatic chorus about feeling neglected and unknown by the world. Not long after the release of their December full-length Bricks, There There Theres called it a day, and each of the members decided to pursue different paths as solo acts or idols in a different group. Reina Arisaka got added to labelmates Migma Shelter, and they’re throwing a “rave” (what the psychedelic-trance idols call their shows) to celebrate the new addition. “The Answer” befits the group’s trance-rave concept with a languid stretch of synths that slowly rise to its peak. A brief burst of spiky electro flashes by during the climax before the song begins its climb again. After their stunning debut full-length Nostalgia, Kolokol return strong with “Bookmark.” Twinkling synths get swapped for strings and pianos while alt-rock guitars move more to the forefront of the music. Complementing the assertive music, the group also yearns to step outside of their introverted shell through lyrics about breaking away from a storybook world. The Banana Monkeys have sold their own bathwater as merch. They also have shirts that parody Eugène Delacroix’s Liberty Leading the People by showing the group marching over graduated idols’ dead bodies. To put it bluntly, trolling and gimmicks are equally if not more important to The Banana Monkeys as their own music. The video for “Nanimono” is no different: while it looks as though they’re faithfully presenting the sparkling “I do this for you” idol song, the second half of the video cuts the music off to reveal the idols singing about working with no pay and whining about wanting to go home. The toy box pop of “Kujira Kojo” sounds a lot more sprightly than the stark, naval-gazing headspace found in last year’s Yume. Maison Book Girl continue to have their head in the clouds though, daydreaming about whale songs, the sea, and how far a song can travel. Ambiguous yet picturesque imagery—like a bodiless bird or the smell of rust—flows in one after the other with little logical correlation. Trying to make sense out of these vivid details has always been the fun in Sakurai Kenta’s work. Mellow Mellow’s “Magical Rendezvous” was chic retro-pop a la Negicco or WHY@DOLL, and found the group tapping into the “vintage” portion of their tagline “vintage soul girls unit.” “Dear My Star,” however, aims for a cool stylishness through robust funk-pop. That angular yet sticky bassline could easily be repurposed into a French house banger, and the three member respond to the more dance-oriented sound with edgy choreography. You can listen to a Spotify playlist containing tracks from this list below. Note that several songs are not available on the platform.